Is it possible to turn the Honda Gold Wing into a dual sport? Is it possible to turn the Honda Gold Wing into a dual sport? 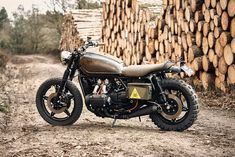 Check out this 1979 Honda GL1000 converted by RH Motorcycles of Holland.